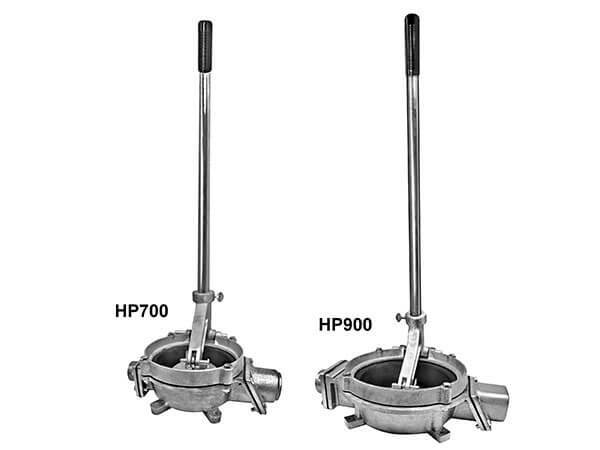 THE HP HAND DIAPHRAGM PUMP is a single-chamber air and liquid pump. The chamber has 2 opening flapper valves for suction and discharge. The diaphragm is actuated by the fulcrum handle bracket, air and/or liquid is pulled into the chamber through the suction valve and expelled through the discharge valve.